His quest for cricketing perfection has pushed the benchmark for batsmanship. For Virat Kohli, batting is unfettered demonstration of the art which has no boundaries. Not just in the longer format but the shortest too. The recognition from the International Cricket Council (ICC) is a unique feather in his already-crowded cap. Kohli has transcended limits hitherto considered insurmountable. Centuries embellish his batting craft. There is no component in his batting that can be termed weak. His gait to the crease — a brisk and confident march — creates an imposing pressure on the fielding side. Kohli gets into his stride at a frightening pace as bowlers, more often than not, bow to his command. 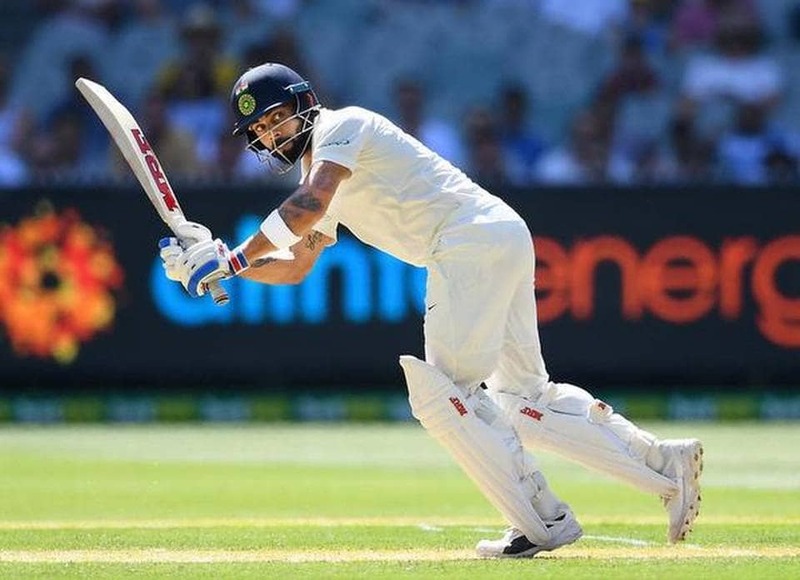 For Kohli, the only incentive when he holds the bat is contributing to a winning cause. The impetus is to dominate, to deny the opponents a semblance of a chance. That comes from his strength of character to succeed. His hunger for runs is insatiable as he lends a fresh and natural touch to his batting — playing the ball on merit. Many times playing it on his terms and leaving the bowler with little choice. It is not that opponents dont analyse Kohlis acts at the crease. It is just that they cant find a solution to dent his consistency. He has revolutionised batting with his ability to excel on all surfaces. Figures dont fully reflect Kohlis mastery in the middle. You have to watch it to relish it. It is not that Kohli deals with the situation differently in Tests, ODIs and T20Is. He only sets different barometers — constructive and constantly innovative. Kohlis preparation commences from the first ball of the innings faced by the teams openers. His batting is built on qualities that stand out — from footwork to shot selection. His range of strokes allows him the freedom to set the pace, especially in limited overs. In Tests, he loves to grind the bowlers, who face intense scrutiny from Kohlis remarkable ability to observe the slightest change in the line of attack from the opposition. The way he deals with the spinners these days is a throwback to the vintage times of Viv Richards — walking towards the ball, instead of stepping out, and then guiding the ball suitably for runs. How often, and how comfortably, he wades into the bowling instantly on his arrival at the crease. His endurance is exemplary because he learns from errors and builds on the reprieves. His cricket is a demonstration of artistic splendour, a style constantly evolving and inspiring a generation to emulate him. If he is magnificence personified at the crease, Kohli has earned it every bit. The cricketing world can rejoices in his majestic vocation of eternal poise.